I love the details of each building and area map. Thank you Ditoseadio, that means a lot to me. <3 Keep an eye out for 1.6 later today with...even more detail! That's the second time that's happened to me. I assure you I'm following the correct procedures and it's the result of the (sentient) cloud. I'll re-upload it until it corrects it but I'm currently in class. But I think I got it anyways. Let me know. When editing the first post, unlink the download link and write the correct link. Alright I'll do that from now on, thanks Dito. There's a building of 'old town' (brick building area) that you spawn in and is missing stairs. Sorry bout that. Also the boarded windows of the old hospital in the same area are just aesthetic for now. Question OP -- would this map work in conjunction with Bedford Falls? Would be awesome to throw it on a server with Bedford, West Point, Muldraugh and then now Dreadwood...awesome! edit: OP, can you merge this with the rest of the map? You and Bedford Falls creator should work together. I think the community is the most powerful force we have in this game. Let the devs do the coding while we do the mapping, no? There are plans to have the all merged onto one map. I've never tested it in conjunction with any other map so I don't expect it to work so well if at all. Pride i tested the multiplayer on your server, and it did work, except no zombies appeared and no loot, got the same problem as you. This looks amazing, but because I'm new to this whole thing, how does one even go about adding this to the game? I think I added a readme.txt which explains the process. 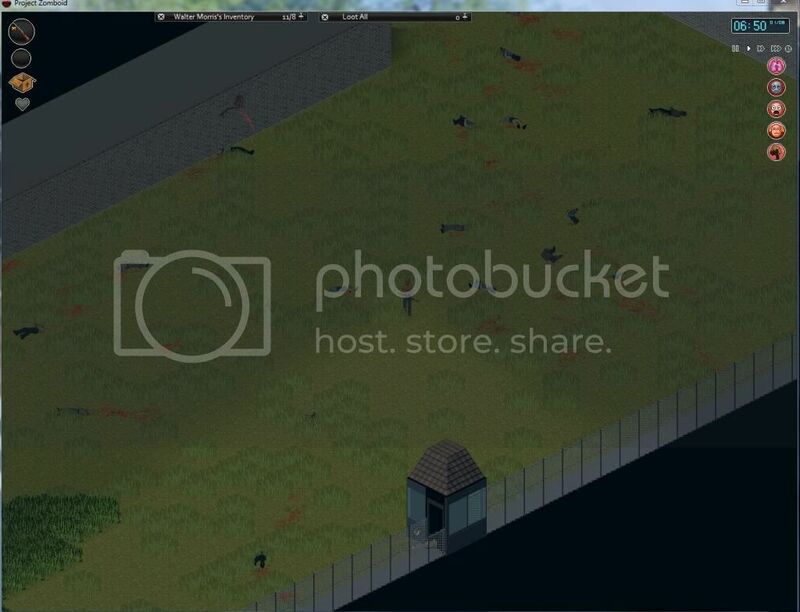 If not copy and paste the dreadwood folder into projectzomboid/media/maps along with Muldraugh and West Point. Then you can choose it from the Sandbox or Survival game mode along with the other two. Also sorry Count Awesome, I updated it on Monday. I'll add dates. cleared the prisons outside, but seems like zombies respawn now? Anyone getting this aswell? oh yeah, i went into that courtyard with 3 boxes of shotgun shells. ran out of ammo, had to run for my life when they just kept coming. i would go around a corner to see if any more were nearby, come back and their would be more zombies waiting for me. Yeah man ive noticed zombies respawn; the good thing is that they spawn outside buildings. Il be gone for.good 6-8 months, hope that when i come back alot of stuff is added to PZ in general including Dreadwood to the original map. Guys take care and have fun with this jewel of a game. man, every time i get set up in a decent safe house on my twitch stream save game, you release another version. I have the same thing when trying it out on a server. I assume it's not available for multiplayer yet then?? I can spawn there fine, but no loot or zombies. Thank you Okeer, bug reports are always appreciated since I've had little time to play games. I've been messing around with how I'm going to do Dreadwood on multiplayer. Like Bedford Falls it'll need to be apart of the main map at this point. I've discovered how to go about this but its literally like playing the slider puzzle game getting all the cells in the right spot, apparently I messed up renaming them. I'm thinking of putting Dreadwood west of the Spiffo's at the midway mark between Muldraugh and West Point. What do you guys think? It'll fit, I already made sure of that. Aside from some bugs, which I am sure have been reported... (I have only travelled a little bit so far)... I wanted to see the bunker, but to my shock and horror, it's gone?!?! So, how come the bunker isn't there? Because I'm evil? I removed it because it was too close to town and I was just going to move it a cell a way. You know how people work, start off to do one thing and end up doing 12.